Fun idea to make the shaker card. Loving the texture from the dry embossing and what a sweet image x. Love this! 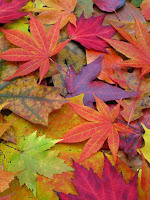 Fall colors are simply gorgeous! Very pretty shaker card! Love the leaf cut out, embossed background, and sweet image! Great card!! 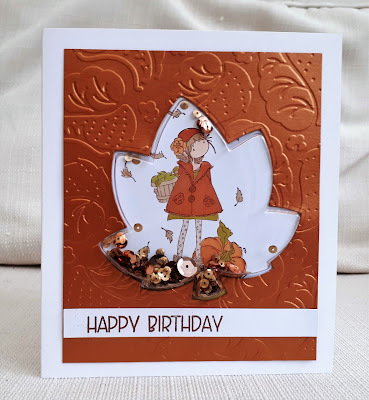 Hello Thanks for sharing your card with us at Crafty Friends Challenge Blog… your card is lovely and fits perfectly with our ‘Embossing’ theme… really like how you have made a leaf shape appature... good luck in the draw and please join us again. Beautiful card Marina!! I love the cut out leaf shaker with the little girl inside! Oooh, deliciously rich Autumnal shades. Love the lea die and the embossing.Thanks for joining us at I Love Promarkers. That is so pretty, I love the sequins. Your leaf window and embossing look great! Another unique design and I love to see those beautiful, fall colors! This is a fantastic and unique shaker design, perfectly autumnal in color and design. Wow. Such a fun card. Love how the shakers elements are down by her feet making it looking very "fallish". Thanks for playing along with us at Creative with Stamps. WOW - I love this card!! The embossed background, the rich paper, and the great use of 'negative' space!! This is a 10/10!! Lovely Autumn themed card! Thank you so much for joining us at CWS!